QTY 123456789101112131415161718192021222324252627282930313233343536373839404142434445464748495051525354555657585960 Please select a quantity. 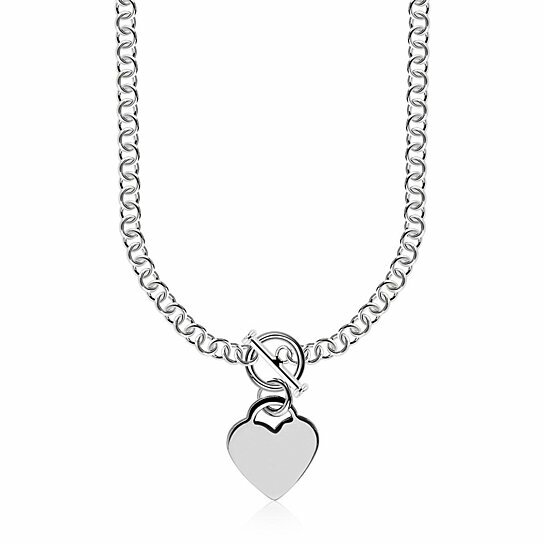 Cute heart motif charm is hanging from the toggle lock accents the adorable style of this rolo chain necklace. Crafted in rhodium plated sterling silver this necklace comes in 16 inches and 18 inches.